My goal is to change the way families experience divorce and separation by changing the way family lawyers practice family law. On most days I would describe myself as a “happy family lawyer”. I love the work that I do and the way in which I am able to do it. I work in Brisbane, Australia where I operate a busy family law practice, Brisbane Family Law Centre, and a mediation practice, Brisbane Family Mediation Centre. I am a wife to Oliver and mum to 4 year old London, a lover of all things chocolate and the fasion label Gorman! I am a divorce lawyer and I specialise in helping separating families stay out of the Family Courts and stay friends as I believe that a divorce can be part of a relationship that we can look back on with some pride. If you are navigating separation or divorce I would welcome the opportunity to help you through. – if you are experiencing separation or divorce, I can assist you as your legal advisor in guiding you through the legal matters that arise as a result of the breakdown of your relationship. While I am based in Brisbane, I assist people all over the Country. You can organise an appointment with me at my firm in Brisbane, by phone or Skype below. 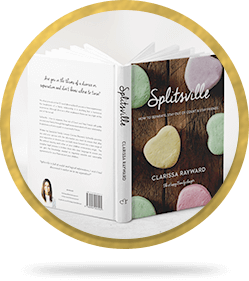 You can order a copy of my book ‘Splitsville- How to separate, stay out of Court and Stay Friends’ here. Splitsville will help you to better understand the legal issues that arise after separation and divorce and ensure you can move through this difficult stage with confidence.